Collecting and reselling cardboard and aluminium cans are stertypically an old woman's job. As for many it is the only way to earn some stripend. 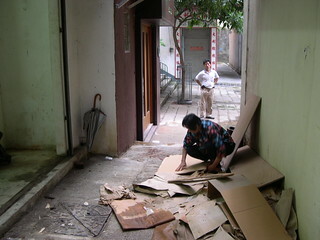 The lady in the photo is taking over the cardboard we discarded from the warehouse.